GOTA offers several advertising options for our members and the public. If you are interested in an oppprtunity that we are not offering, please contact us. Labels are available for purposes which benefit GOTA members. This includes announcements for conferences and workshops. Labels ordered for state or district activities, as approved by GOTA, are available at no charge to the members. Examples of approved activities include notification of GOTA State or District meetings or Newsletter mailings. Labels are provided with an understanding that they will be used one time only. Printed labels will include names and addresses of all current OTR, COTA and student members. If you wish to purchase labels, complete the following information and enclose a copy of the brochure/announcement you will be using. Individual members may not purchase labels at the member price for their place of employment, unless the facility is a corporate member. Number of set(s) of GOTA Membership Labels and the date needed. Delivery: Please allow 2 weeks for delivery. Add $20.00 for overnight delivery. Rush orders and overnight deliveries must be prearranged . Payment must be received before labels are sent. Enclose a copy of the materials that will be mailed to the list. 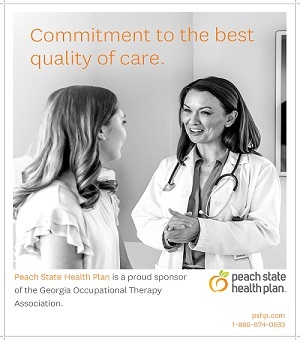 The Georgia Occupational Therapy Association has many business colleagues who support the profession and occupational therapy practitioners. This webpage serves as a resource tool to businesses seeking to promote their services and products to occupational therapy practitioners and their clients. A brief description of your organization and its product/service on the GOTA website. Link to your organization’s website and/or product. To process your request complete the virtual exhibitor posting form. Payment from a non-member must be received before an event will be posted. The Executive Office will post listing within 5 business days of receiving payment. The exhibitor information will remain on the GOTA calendar from the day of posting, through the duration of purchased time frame. One position posting on our GOTA online Jobline. To process your request complete the jobline posting form. Payment from a non-member must be received before a job listing will be posted. The executive office will post listings within 5 business days of receiving payment. Job listings will remain from the day of posting, through the duration of the purchased time frame. If a position is filled prior to the expiration of listing, no funds will be refunded. 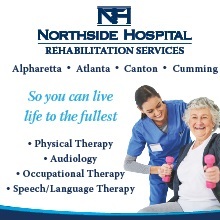 Events may include continuing education courses, job fairs, workshops, community events, etc. One event posting on our GOTA online Event Calendar at www.gaota.com. To process your request complete the event posting form. The event will remain on the GOTA calendar permanently, however, once it occurs the event will not reflect a current calendar posting. If an event is cancelled, no funds will be refunded. Please note that when you post an event, you must select the actual date when the event will take place. If your event is taking place on multiple dates throughout the year, you must submit a separate posting for each occurrence.